The Korean mobile network operator has committed to an aggressive plan to quickly move large numbers of its customers towards NFC services by deciding that, from now on, it will only offer smartphones equipped with NFC functionality. 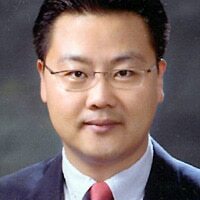 “NFC is one of our top priorities,” Yu-Shik Kim, VP of global strategic partnerships for SK Telecom, has told NFC World — so the operator’s smartphone range will from now on only include handsets that offer NFC functionality. The Korean mobile network operator has been innovating in the mobile payments space since 2003 when it introduced Moneta, a chip-based service that made use of specialist silicon built into the handset. Then, in 2007/8, SK Telecom added new services via a SIM-based solution known as T-Cash that attracted 730,000 users. Now, the company sees NFC as the next key technology — and is prepared to make the commitments necessary to bring NFC swiftly to market. The operator is taking a strategic approach to driving adoption of NFC technology, Kim told NFC World. The company has already signed up two million subscribers for its latest mobile wallet service, which combines both mobile payments and mobile coupons, and has taken the strategic decision that, to boost take up of the service, every new smartphone model it stocks must come with NFC. Koreans change their phones every two years on average, Kim explains, and most are already choosing smartphones. By 2013, some 65% of SK Telecom’s 26m subscribers are expected to have changed their current model for a smartphone equipped with NFC. Once the majority of subscribers have an NFC phone, however, the hard work will only just be beginning, Kim adds. The question then will be how well the operator can succeed in turning them into active users of NFC services. The current users of SK Telecom’s mobile wallet solution are mostly early adopters and heavy users. “We’ve got positive reaction from them because it provides a very convenient solution,” Kim explains. But, “sometimes the speed is not as fast as expected,” he adds. “We still need to work on the convenience factor in terms of speed.” The speed issue is software-related, Kim says, and it’s something that is being worked on. Globalization is also a key part of SK Telecom’s NFC plan. The mobile network operator already has an NFC interoperability agreement with Japan’s KDDI and Softbank. SK Telecom also plans to reach similar agreements with Chinese carriers in the near future. This is one of the best headlines I seen in a longtime about NFC. Someone is taking the initiative to implement technology instead of these “pilot tests” and “consortium”. Will be going over to Seoul in a several weeks specifically to study NFC and m-commerce and would love to get access to the Q-store at SK Telecom.